Life at home has given Logan Allen all the motivation he desires every time he toes the rubber in a game. At 21, the left-handed pitcher is wise beyond his years and poised to become a quality major league baseball player. 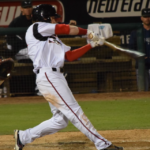 Logan Allen is still taking it all in in regards to being invited to major league camp this spring. 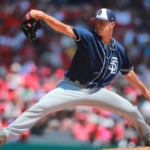 The San Diego Padres acquired the left-handed pitcher in late 2016. 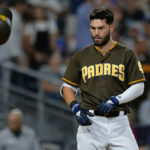 He was part of a four-prospect trade with the Red Sox that sent all-star closer Craig Kimbrel to Boston from San Diego. Manuel Margot, Carlos Asuaje, and Javy Guerra have all made their major league debut for the Friars. 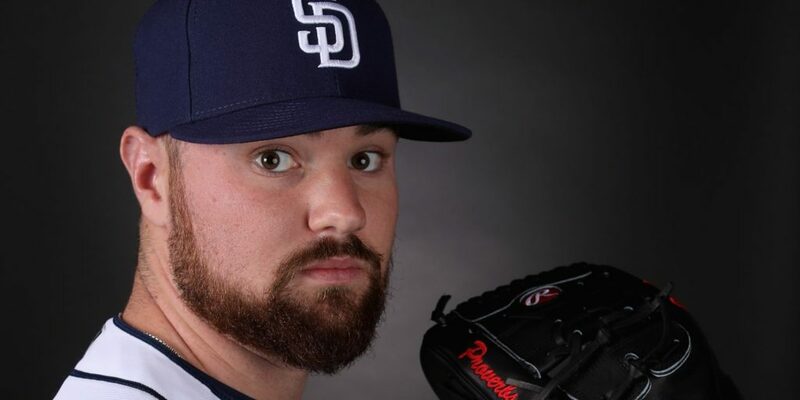 Logan Allen is the lone player to make it to the big leagues, and when it is all said and done, he might be the best player the Padres acquired for Kimbrel. As EVT first talked with Allen shortly after the trade, he oozed confidence from his every pore. Even at the age of 18, you could sense he was something special. He clearly understood the hard work that was ahead of him though. That is rare for a teenager. Logan Allen has a lot of motivation to succeed in the game of baseball. His home life provided a great work ethic, and with that, he would not take anything for granted in the game of baseball. The story of Logan’s big brother Philip will warm your heart (EVT was lucky enough to write about this a few years ago). His brother, who is ten years older, is confined to a wheelchair and is a miracle for the Allen family. Philip Allen was not supposed to live a long life. He was diagnosed with what is best described as severe cerebral palsy as a two-year-old. Now 31, Philip has proven doctors wrong. 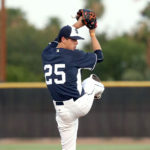 He is the biggest fan of his younger brother and Padre pitcher, Logan Allen. The left-hander knows the difficulties of life, and has used his experiences to make himself a better player. 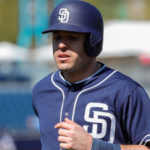 There is no surprise he developed so quickly within the Padres system. After all, the game of baseball is just that — a game. There is still much to learn for Allen. He is soaking it all up. The veterans in the locker room have taken notice of his demeanor, and so has his manager. Logan Allen has always enjoyed working fast while pitching. 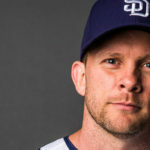 Andy Green has taken notice and commended the young pitcher for it. Allen prefers to dictate the pace of the game and more often than not that means a quick tempo. “It has always been my mentality. Do not focus on the pitch before. Get back out on the mound, get the ball and shove it down their throat,” said Allen proudly. There is no messing around with batters for Allen. He likes to throw strikes and will challenge hitters. That is exactly what major league pitchers do. Intensity is great, but there are times when you need to stay within the moment. Allen recognizes the fact he could use some adjustments while pitching, especially when things are going rough for him on the mound. “I need to do a better job of this (slowing down a bit). And that is just stepping off the mound and taking a breathe and allowing an extra few seconds to go by in the game. I do it before every inning, but need to use this when things are going bad. I need to pull myself back to the moment and focus on what I have to do,” said Allen. Recognizes this is often tough for young pitchers. The fact he has a concept of this so early is delightful to Padres management. Jacob Nix and Logan Allen have known each other since they were kids. The two have a great relationship in and around the clubhouse. “I have known Nix for a looong time,” said Allen with a smirk. The two attended IMG Academy before being drafted. They have known each other since both were teenagers. “He and I have been very close since we have known each other. We have an older brother, younger brother thing going along. That depends on whoever is acting more mature that day,” said Logan with a chuckle as he looked down the row of lockers towards Nix’ cubicle. 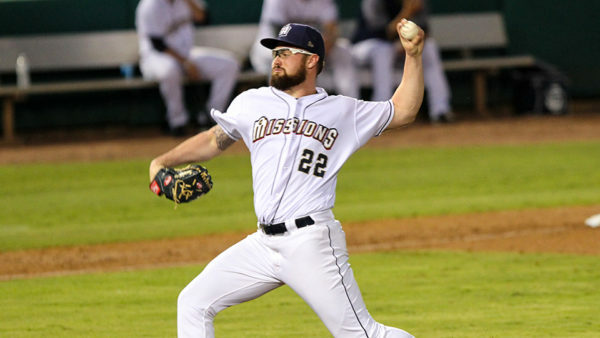 Recently, Logan Allen labeled Chris Paddack as a “baseball zombie” while in the locker room conducting an interview. “He is just unlike anybody I have ever met. He is an unbelievable human being that knows how to have fun. He is committed. The more locked in he is, the better he pitches. The more locked in I am, the worse I play. We are polar opposites when it comes to that. I like to keep it loose. Just watching his routines, we learn from each other,” said Allen. The pitcher enjoys picking the brains of his teammates and learning from them. He adapts every season, and that bodes well for the future of Logan Allen. 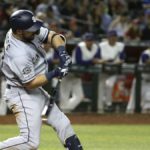 The Rapsodo machine revolution has taken over, and the Padres are utilizing the systems that evaluate pitch spin. Logan has thrown bullpen sessions with the system and is getting used to the data that is amassed. “I definitely look at it. Spin efficiency especially. I am not too concerned with spin rate as I try to put the pitch where it needs to be in any count. I look at it, but I don’t go crazy about it,” said Allen. 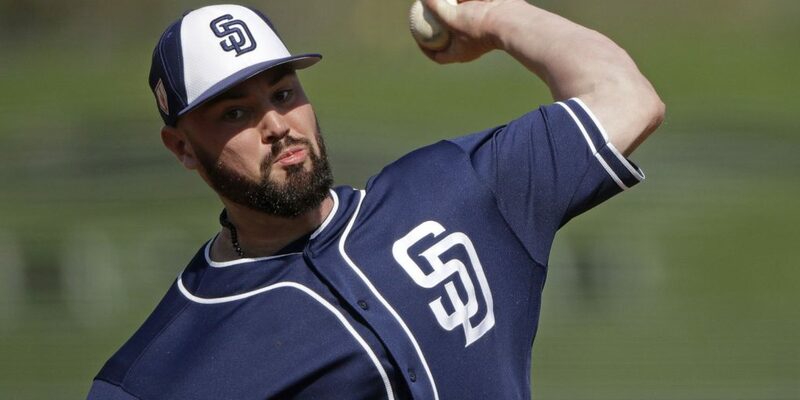 The young lefty is just another example of a pitcher in Padres camp embracing the new technology to try to get better and shove the ball down the throat of their opponent. Great article James, keep up the good work. Your player interviews are awesome, always getting good insights from the players. Predition…the Padres get Kluber at their price(a pitching prospect and an outfielder). But there’s a catch, he will have Tommy John surgery and be out all year. We will have him in the second half of 2020 though. They then sign Strasburg as a free agent next year. Can’t wait!